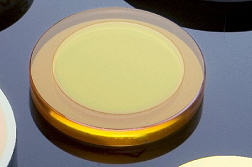 Rear Mirror with low absorption coating is designed to be used with a matching Output Coupler to maximize the output power/energy ratio of your laser resonator. 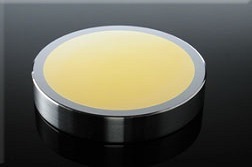 Our low absorption cavity coating is optimized to total absorption < 0.07% (typical) enhancing your laser generator performance to the next level with higher efficiency and longer lifetime. Simply the best for High-Power C02 Lasers above 2.5KW. * Matching Output Couplers are available upon request.